Seen from the north, the Vincent Pyramid is the last 4,000-metre peak of the Monte Rosa massif. 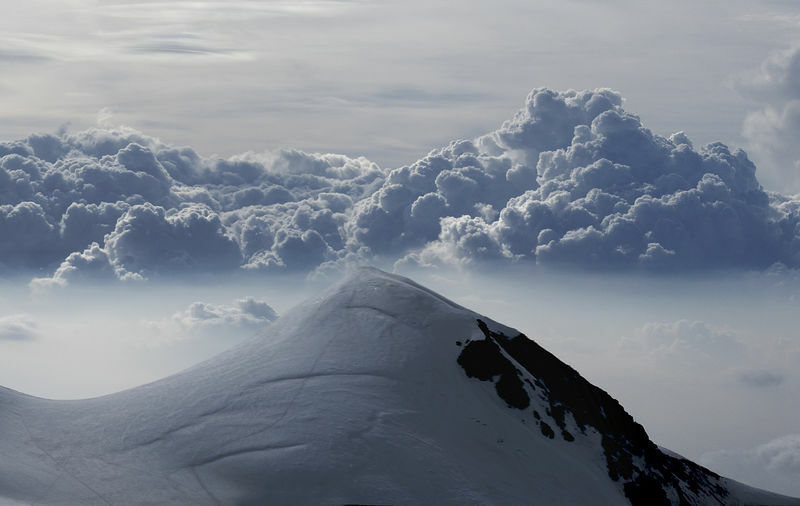 The Vincent Pyramid is one of ten 4,000-metre peaks in the Monte Rosa massif. It stands to the south of the massif, entirely on Italian territory. Its first ascent was inspired not so much by sporting ambition as by a search for gold. This motive explains the illustrious team of climbers: Johann Nikolaus Vincent, mining engineer and owner of the Alagna gold mines, the hunter Jacques Castel and two miners. They reached the summit on 5 August 1819 via the south-east face. The most frequently climbed of all routes up the Monte Rosa massif leads from the Colle Vincent up the Vincent Pyramid. This route was first used in 1851 by the brothers Adolph and Hermann Schlagintweit and Peter Beck. The peak, with its almost vertical face overlooking the Alanga valley, was named the Vincent Pyramid in honour of the first person to climb it, Johann Nikolaus Vincent. The Vincent Pyramid rises dramatically to the south of the Colle Vincent (4,087 m). When seen from the Balmenhorn (4,167 m), the Vincent Pyramid looks like the “last mountain”, with an abyss beyond. This is almost correct, as Alagna (1,190 m) is just eight kilometres from the peak as the crow flies.